There is some exciting news to share with all of our fellow Indians living abroad: you will be pleased to know that, together with the new episodes of the shows you already know and love, this year Sony have provided you with much more! Take a look at the latest program, and enjoy the new shows, as well as the ones that have already proven to be the exceptional part of our offer on Sony TV live, and have repeatedly captured your attention in the past years. 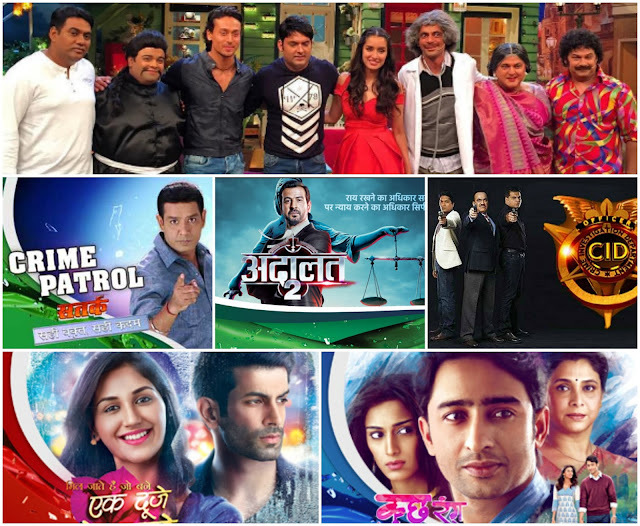 Take the time to check out some of the best shows on Hindi TV Channels, and enjoy their upcoming stories, covering the great variety of topics, such as comedy, mystery and romance. Embark on a journey of discovery with new episodes of the detective shows, such as Crime Patrol, or CID, explore the unexplained wonders with Man Mein Hai Visshwas, and join the well-known comedian Kapil Sharma in his famous comedy talk show during the weekends, featuring Sunil Grover, Ali Asgar, Kiku Sharda, Chandan Prabhakar and many others. Watch your favorite stars as they once again join to create the best entertainment, or to tell the most unique stories about the different aspects of life. Make sure to check out the completely new and unique romantic stories such as Kuch Rang Pyar Ke Aise Bhi, that aims to give a real-life perspective on the different challenges the relationship between Dev and Sonakshi (featuring Shaheer Sheikh and Erica Fernandes) is put up against, or Ek Duje ke Vaaste, which successfully brings about the topics of redemption and love, expressed through the story line that unpredictably revolves around the main characters Shravan and Tiwari, played by Namik Paul and Nikita Dutta. Find out about all the great new parts of Sony program, which are ready to be there when you decide to take a pause during the day, as well as to provide you with the exceptional entertainment during the weekends, or while you relax in the evening.